A geneticist noted that women with blue or green eyes handle hurt better than those with brown or hazel eyes. Photo courtesy of Shutterstock. Why do most people go to their doctors? One word: pain. It is the most common motivation behind any long wait in a health care provider’s office and accounts for more than 70 million physician office visits annually. Pain, then, is a top concern for many researchers, some of whom may be more apt to explore the differences in perceptions of pain rather than investigate causes of pain. For instance, Dr. Inna Belfer, a geneticist at the University of Pittsburgh, discovered that women with blue or green eyes handle hurt better than those with brown or hazel eyes. "Human pain is correlated with multiple factors like gender, age, and hair color," Belfer said in a symposium at the American Pain Society's annual meeting. "Researchers have found that red hair is associated with resistance to anesthetics and also to increased anxiety and darker eye color has been reportedly found to correlate with increased physiologic reactivity and drug-induced pupil dilation." Belfer conducted a study of 58 women who were expecting babies and planned to give birth at UPMC Magee Women's Hospital. The researchers divided the women into two groups based on eye color: 24 women in the dark group (brown or hazel eye color) and 34 women in the light group (blue or green eye color). Next, the researchers assessed antepartum and postpartum pain, mood, sleep, and coping behavior. What did Belfer and her colleagues discover? The women in the light-eyed group seemed to cope with childbirth the best. Not only did they become less anxious once their baby had arrived, they also were less likely to become depressed. Other researchers in the field believe genes linked to melanin may strongly influence pain experiences; this pigment, found in the brain, is linked to darker-colored eyes. Eye and hair color is not the only factor when it comes to individual pain experiences. Belfer has also explored the ways gender influences pain. Men, for instance, commonly express less sensitivity to pain than women, and women generally have a stronger response to analgesics and opioids. At the same time, she has revealed how the scientists, themselves, might influence a research subject's response. “Males reported significantly less… pain in front of a female experimenter than a male experimenter, while female subjects tended to report higher pain to the male experimenter,” she noted in this very same research paper. Ethnicity is similar in its effects, Belfer wrote, with consistent reports showing how Latino and African-Americans experience pain more keenly than non-Hispanic Caucasians. “Although the determination of the genetics of pain is still in its infancy, it is clear that a number of genes play a critical role in determining pain sensitivity or susceptibility to chronic pain,” wrote Belfer in an article published in the Journal of Medical Genetics. According to the Pain Genes Database, 358 genes, possibly more, may be relevant to pain and analgesia response, with about 10 genes, including COMT, OPRM1, and TRPV1, representing the “gold standard” — or the most popular candidates for pain studies. In the end, the complexity of pain cannot be underestimated as best evidenced by the results of a study of healthy adults, where pain intensity ratings ranged from 0 to 100 for an identical cold water stimulus, and ratings of a heat stimulus ranged from 0 to 95.2. The search for a genetic foundation to pain is ongoing. However, scientists generally believe the ultimate answer will be found not in genetics but in epigenetics, the border town where nature and nurture co-exist. Epigenetics is all about environmental influences that influence whether or not — or the extent to which — a given gene expresses itself or becomes distorted over time. Age, for instance, appears to influence pain, with environmental factors dominating genes almost completely among older people. Looking ahead, Belfer will be continuing to explore eye color and pain experience. 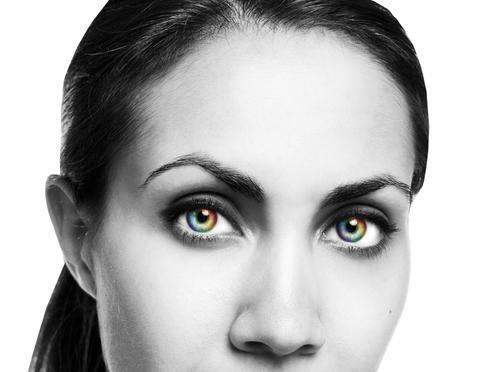 "We are going to see if there is a link between eye color and clinical pain... in men and in women, and in different pain models other than the labor pain model," she told Medscape Medical News. Source: Belfer I. American Pain Society 33rd Annual Scientific Meeting. April 30- May 3, 2014.